All you need is to know which accessories blend well with which clothes and you are good to go. You do not have to change your entire wardrobe, a few accessories will do. 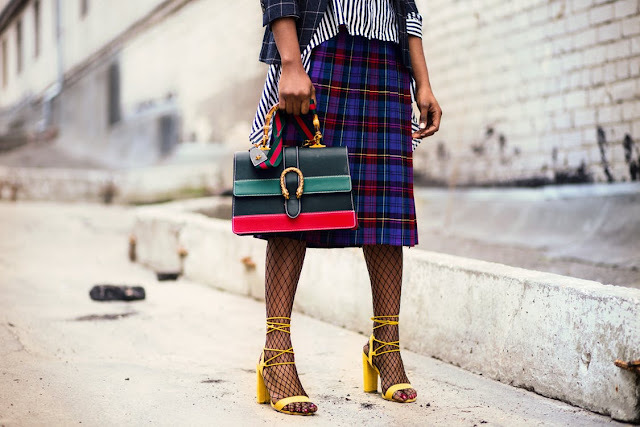 Picking on the right accessories can be a bit daunting and overwhelming, but when you know what goes with what in your closet then you need not worry. Here are some tips that will help you. When it comes to accessorizing, always avoid wearing the same colors especially bright colors. Before matching a handbag and a pair of shoes was common, but this is not the case now. Fashion trends are changing and people are embracing more of wearing a statement coat paired with a different shoe color. Wear different colors that complement one another. However, ensure that you do not overdo it so as not to look as if you’re going to attend a color festival. The color combination should coordinate and look stylish. Try different colors to see which ones fit your style. Accessories like handbags and scarfs can create a totally different look when matched well with your outfit. A scarf can bring out a completely different look when worn with the right outfit. The same applies to drape a jacket on top of your dress. Buy the black ravens alternative clothing and try out a new look. While some people might prefer adding an accessory, others simply add a touch to their outfit. This includes rolling up of shirt sleeves or jeans in a neat manner. You can wear some shiny earrings, sunglasses, and stilettoes for a glamorous look. Wear a satchel bag and jeans for a casual look. Jewelry pieces come in different colors, shapes, sizes and are made from different metals. Match your outfit with the jewelry piece that you love. Choose bold colors that complement your outfit to enhance your look. In order to determine which accessory will go with your outfit, you need to pick an outfit depending on the function. Some accessories are not acceptable in work environments. This is because some workplaces have style rules. Choose a stylish accessory, but ensure that it matches with the function so that you don’t seem out of place. Accessories are simply worn to add onto the overall look or fill something that seems to be missing in your outfit. When you decide to wear a scarf, bracelet or necklace to accessorize your outfit, do not wear too many pieces all at once. This will overpower the outfit. You want the outfit to still stand out even with the accessories on so make your pick wisely. A single accessory is enough to bring out a statement. Your overall style determines which accessories you will wear. Pick accessories that define your personality even when worn with simple outfits. The accessories should bring out an elegant appearance.